The Granstream GXP2160 is a Linux-based phone with 6 lines, 5 way conferencing and 5 XML soft keys for customization. 4.3 inch colored LCD helps to make high-quality calls with HD audio voice. 24 BFL keys allow users to monitor easily status of other transfer calls and extensions. This Granstream Dubai phone is built in Bluetooth which allows users to use headsets and transferring of calls and phonebook from paired devices.This Enterpriser telephone system also electronic hook support for headsets and USB ports. The GXP2160 IP Phone is perfect for SMB and enterprise customers with quality and versatility in desktop communications. 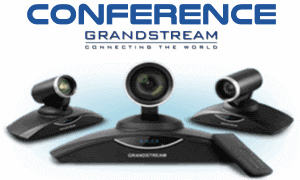 As Grandstream phones do, the GXP2160 has SRTP and TLS (security encryption technology). This phone supports lots of automatic provisioning options, including zero configuration with Grandstream’s UCM Series. How we can help you choose your Telephony Products?